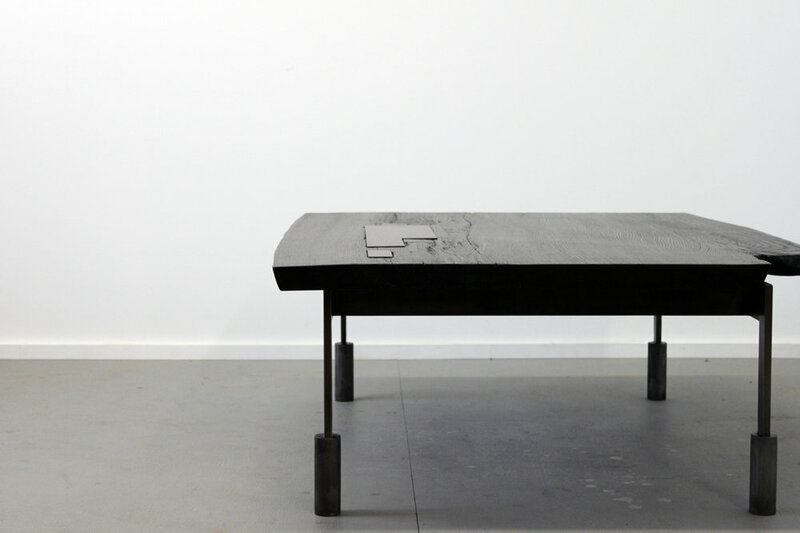 Thick slab top on a solid blackened steel footed base. 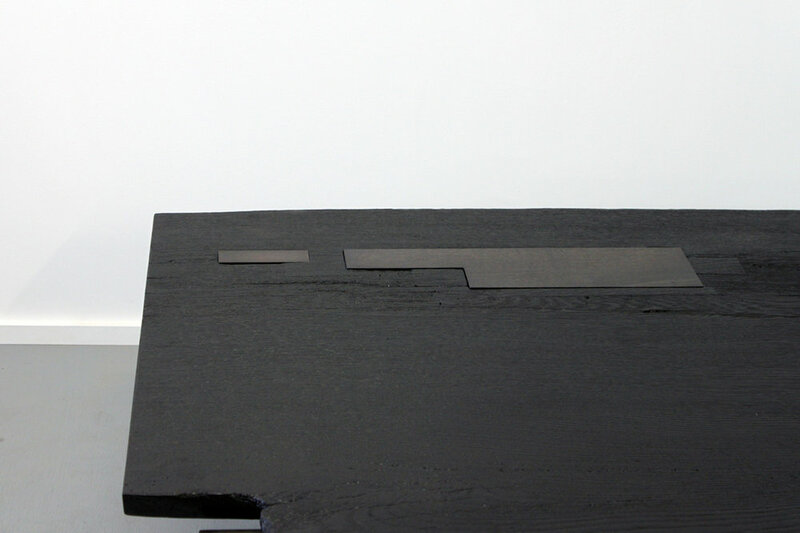 Available in rectangular live edge form or round form. 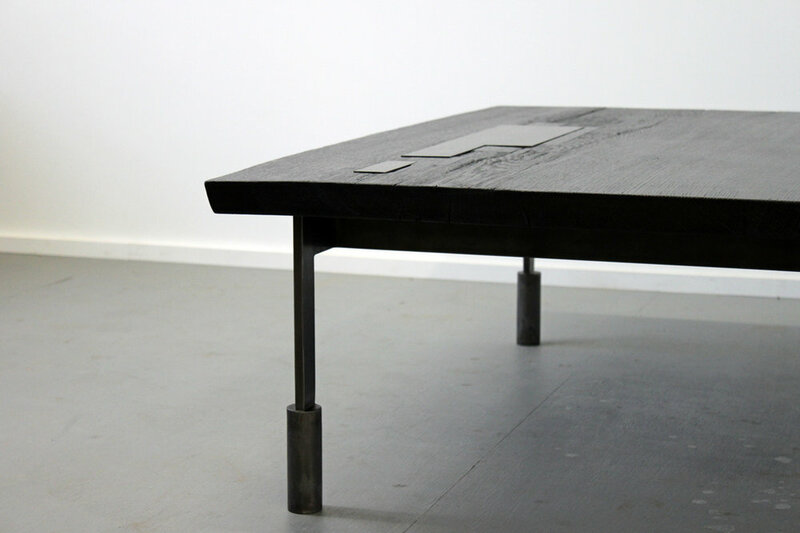 Available in walnut, charred oak or bleached maple, with a blackened steel base.